See a very complete analysis of the facts and the aftermath of the FBI crime lab recent revision of its pop stats on DNA RMPs in this attached article. This is the classic example of forensic science updates that may/may not affect thousands of cases using the DNA “gold standard as it has BEEN used in courts. Some scientific advances within the legal environment certainly can cause a flap. DNA is no exception. You will see the naysayers and the forensic reform activists warming up on this one. I won’t even start on the topic of how non-DNA bitemarks are still acceptable. Maybe this DNA mini-flap will create an added judicial awareness of the scientific method. Recent admissions by the FBI involving data errors in calculating DNA probabilities are challenging the infallibility of DNA evidence, a science with a longstanding reputation of as the forensic gold standard. Prosecutors and bureau officials say the mistakes will have a minimal effect on criminal cases, but the real impact of the revelations in courtrooms across the country remains to be seen. Vince Figarelli, the Arizona Department of Public Safety’s crime-lab superintendent, stressed that the discrepancies do not amount to mismatching a DNA profile with a certain suspect. Rather, he said, the corrected information alters only the likelihood that a DNA profile will be found in a certain population. This could be the difference between finding a matching crime-scene profile in one case out of 110 quadrillion, versus a corrected probability of one case out of 1 quadrillion. The new information could be applied retroactively to court cases by defense attorneys, and Figarelli said his lab is mapping out how it will evaluate “thousands” of historical Arizona cases. While a difference between, say, 1 sextillion and 1 quintillion may not hold much weight for a jury, Figarelli said the technicians will be flagging for review cases built on partial profiles — those that generate odds in the hundreds or thousands. But the FBI’s announcement — sent as a bulletin to crime labs last month — speaks to a point defense attorneys have argued to juries in countless criminal cases: Even technology as esteemed as DNA testing is not immune to human error. At least one Valley defense attorney has already pounced on the opportunity. Earlier this month, one day after client Cudellious Love was convicted of the murder of Laura Hunding, attorney Jay Rock filed a motion for a new trial. The state’s successful case hinged almost entirely on DNA evidence. What remains to be seen is how the information will affect previous convictions and how courts and juries will digest this information, said Andrea Roth, an assistant professor at the University of California-Berkeley School of Law who specializes in forensic science and criminal procedure. Some judges have refused to admit evidence that showcases DNA’s fallibility, Roth said. It’s a delicate balance, she added. The government may be worried that juries will come to question DNA so much that they throw the proverbial baby out with the bathwater, she said, but jurors also shouldn’t have the impression that DNA profiling is a completely objective science. “It’s a difficult problem that the law hasn’t figured out yet,” she said. The blunder stems from “allelic frequency tables” compiled by the FBI and used by nearly all crime labs in the country, Roth said. The tables contain 1,100 people meant to represent a sufficiently random sample to give a sense of how rare certain alleles — gene variants at different locations — are in the population at large. It’s these tables, she said, that allow forensic scientists to calculate and explain to juries the statistical significance of a DNA match between a defendant’s DNA profile and the DNA sample collected at a crime scene. So when prosecutors tell juries a certain profile will match one out of a certain number of people in a population, they typically are gleaning that probability from these tables. But some of the profiles in the tables contained discrepancies, the FBI admitted. For instance, instead of one marker at a certain location showing up in 5 percent of the people in the table, it could actually show in 10 percent of the people in the table. In other words, “it’s not as rare as the FBI made it out to be,” Roth said in an e-mail. “We are of the view that these discrepancies are unlikely to materially affect any assessment of evidential value,” the bureau said in a bulletin to crime labs, according to Figarelli. The Maricopa County Attorney’s Office has begun to notify courts and defense attorneys of these discrepancies, according to a statement released June 2. Maricopa County prosecutors say the “clerical and transcription errors” occurred during the 1999 and 2001 creation of the FBI’s Short Tandem Repeats database. 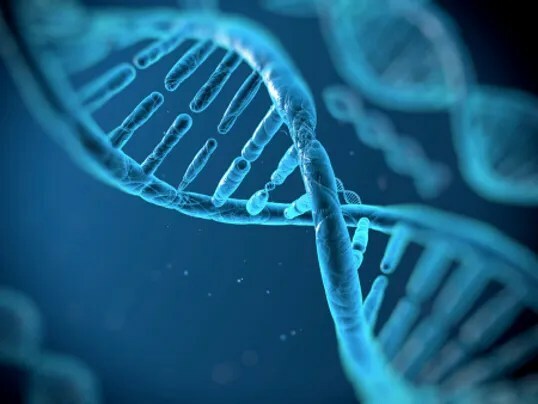 Roth said she agrees that the effects will be minimal in cases with very low random-match probabilities but said that in cases involving degraded or low-quality DNA, often only a few DNA locations can be tested. She said it’s difficult to determine how this will affect DNA cases that have already resulted in a conviction. She said the tables’ problems were detailed 10 years ago in an article by DNA expert Dan Krane, a professor at Wright State University in Ohio. “But the FBI did nothing about it, and in fact have always been hostile to attempts by defense experts to challenge FBI match statistics in any way,” she said. In an e-mail, Krane said he believes the FBI and the National District Attorneys Association are downplaying the implications of these errors. At the very least, he said, the revelations call for an objective analysis of the profiles in the Combined DNA Index System, or CODIS, database, something the FBI has rejected for years. A statement from the Maricopa County Attorney’s Office says prosecutors are maintaining their ethical duties in reviewing existing cases and making adequate notifications to defense counsel and courts. By the time the news reached Rock’s desk last month, the defense attorney’s hands were tied. Rock had just spent the previous several days in a murder trial, attempting to poke holes in the state’s case, which hinged on DNA evidence. According to police, the DNA profile gathered from evidence found on Hunding, the victim, was statistically found in one out of 110 quadrillion African-Americans. The profile matched that of Rock’s client, Love, who is Black. News of the FBI’s errors arrived hours after the jury could legally hear evidence in the case, but days before the panel delivered the guilty verdict. Ivan Dominguez, director of public affairs and communications for the National Association of Criminal Defense Lawyers, said the organization just learned about this and is studying what it will mean. Cobb said he expects to initially see some of these types of motions filed. “But when defense realizes that they won’t get a lot of traction, we won’t see a lot of challenges,” he said. This entry was posted in Uncategorized and tagged AAFS, ABFO, American Academy of Forensic Science, AMERICAN BOARD OF FORENSIC ODONTOLOGY, Criminal Justice, DNA profiling, Forensic science, forensic testimony, innocence project, National Commission on Forensic Science. Bookmark the permalink.